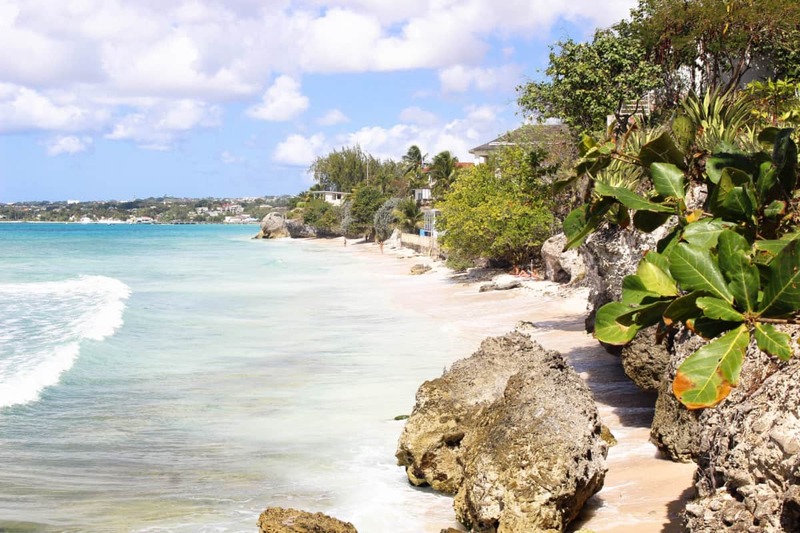 Visit Barbados, an island paradise with beaches galore. I am sharing my favourites with you. Admittedly, I have very strict criteria for a ‘favourite’! 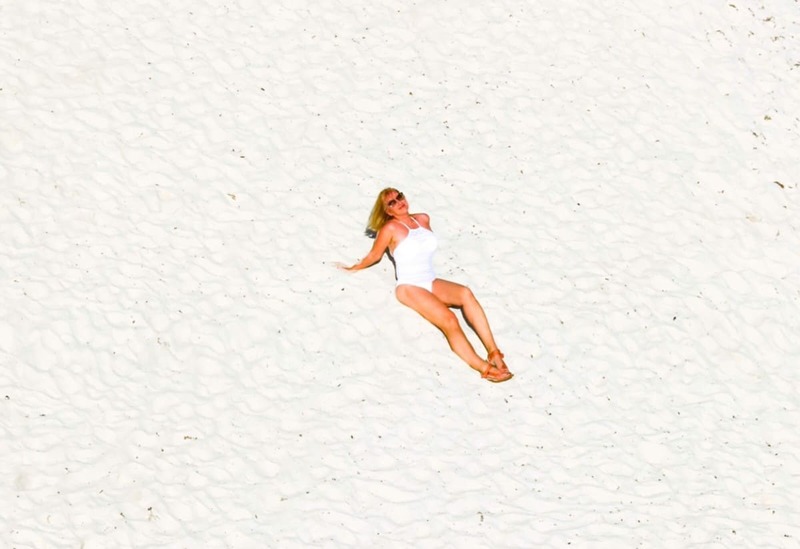 I like a deserted beach … you know the kind …. if there are 4 people you think its crowded? 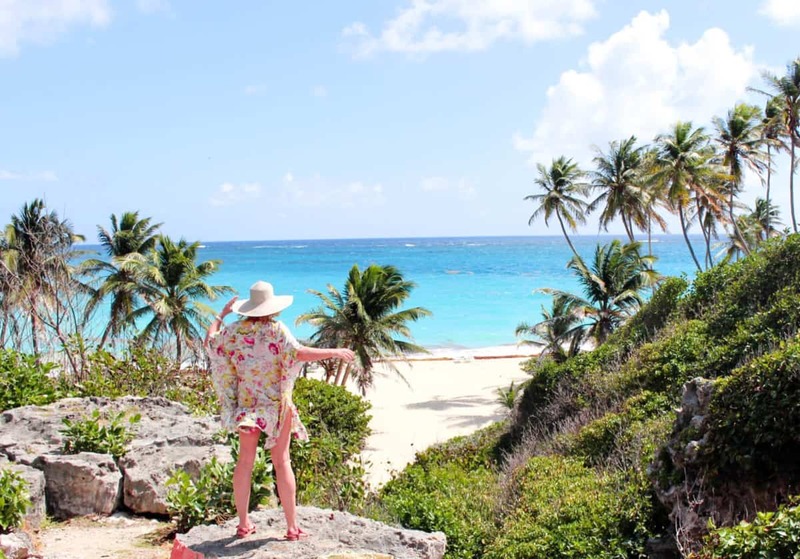 If you are looking for a party beach, this blog post is not for you. Hire a car, pack a picnic and come along with me! Let’s start on the popular West Coast of the island. 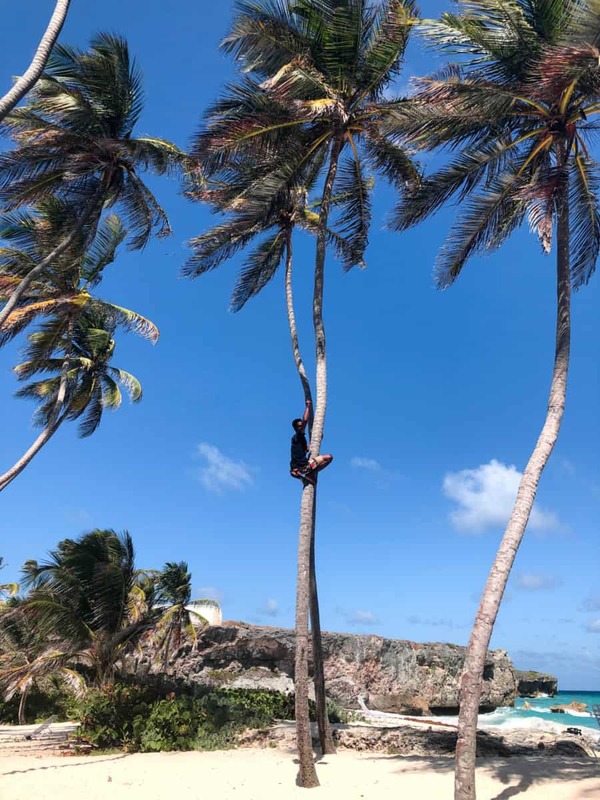 I stayed on Barbados in high season but it is still possible to find a secluded spot. Stop off in Holetown for a spot of retail therapy in the cute little designer shops and there is an excellent Massy Supermarket in the centre of town. Perfect to stock up on goodies for a lunchtime picnic. Take lots of water, its hot out there! Hop back in the car and drive North for a few minutes. Look out for a signpost for Folkestone Marine Reserve turn on the left, turn left here and park in the Car Park. Go to the beach path and turn right going North. Keep Walking past a couple of hotels and around a little Cap and this is Heron Bay. This is a place to snorkel too! There is plenty of shade from the overhanging trees. 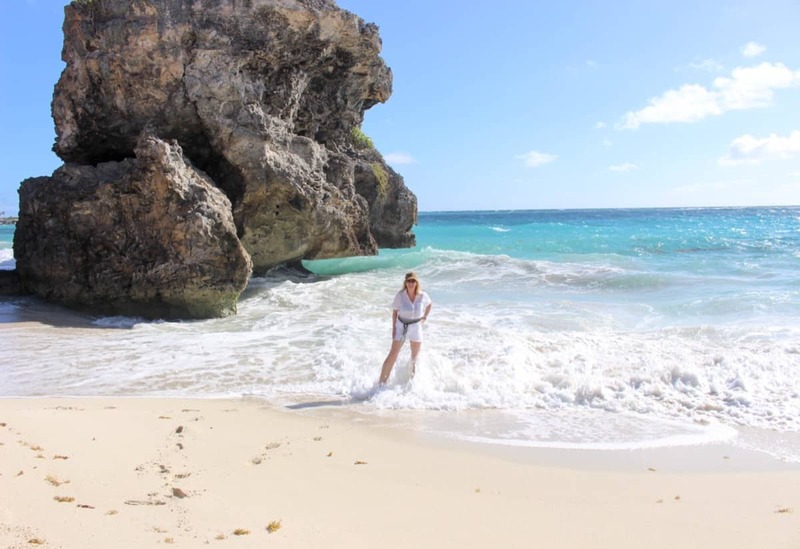 TIP: All of the beaches on Barbados are Public beaches, there are no Private beaches so you can go anywhere on any beach! 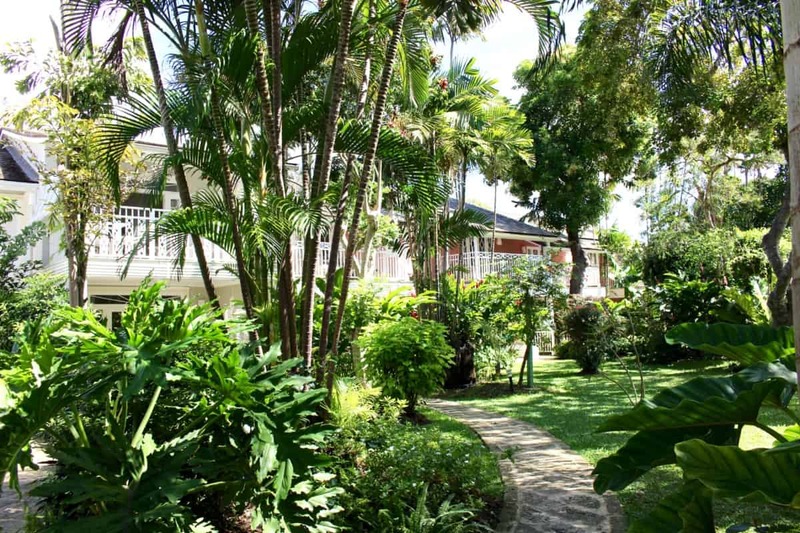 Another favourite is near Speightstown. 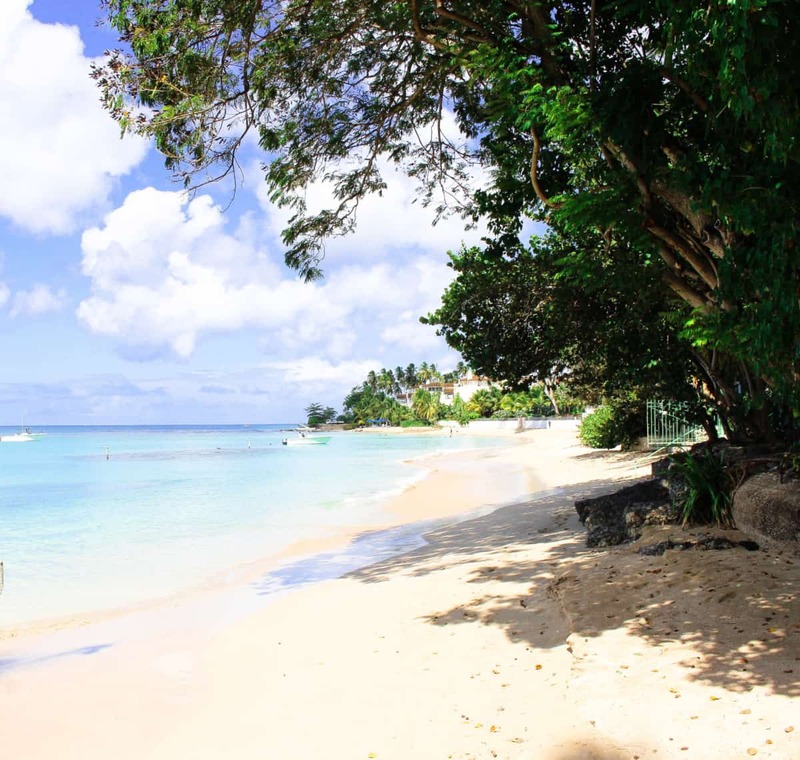 Drive North from Holetown and you will pass the popular Mullins Beach. Stop here if you like a busier, but very beautiful beach. 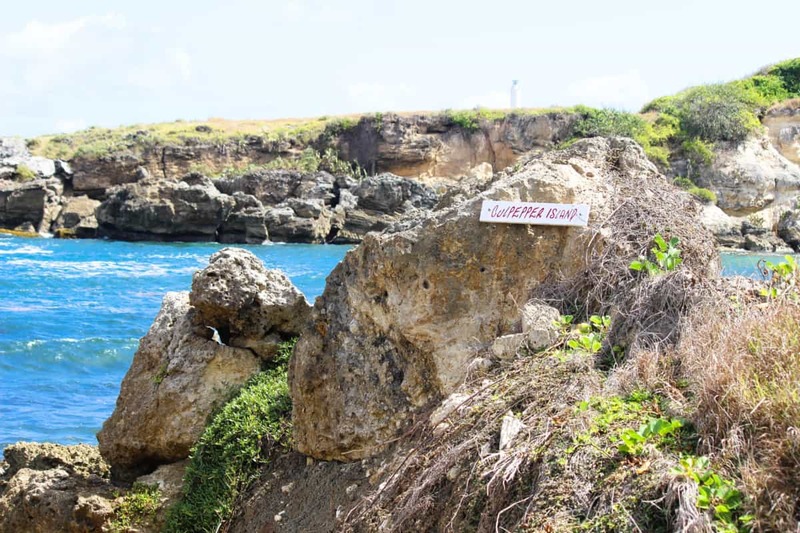 If not you will find Godings Bay just before Speightstown. I took this photo above from Cobblers Cove. This is a super boutique hotel with a lovely little restaurant set right by the beach. It is open to non – residents for breakfast, lunch and dinner or just a drink from the bar. Have lunch then take a short stroll and plonk yourself on this beach! Or, if you feel a bit more energetic arrange for the hotel boat to take you out Turtle watching. 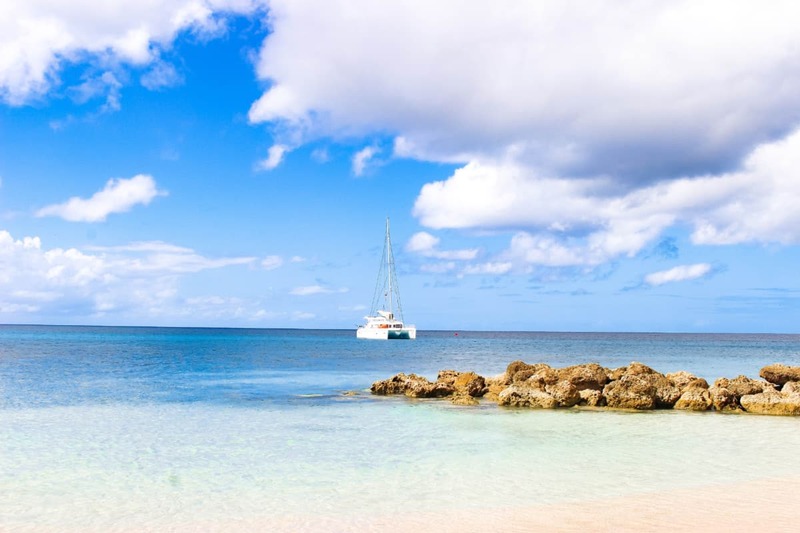 Cobblers Cove Hotel is a gorgeous boutique hotel and a great choice to stay on the island. We enjoyed a delicious light lunch at the hotel, which is set amongst the most beautiful gardens and next to a superb beach which was empty even in high season! I loved the Pink decor theme. The next stop is not actually a beach but a Cave and you can swim in it! 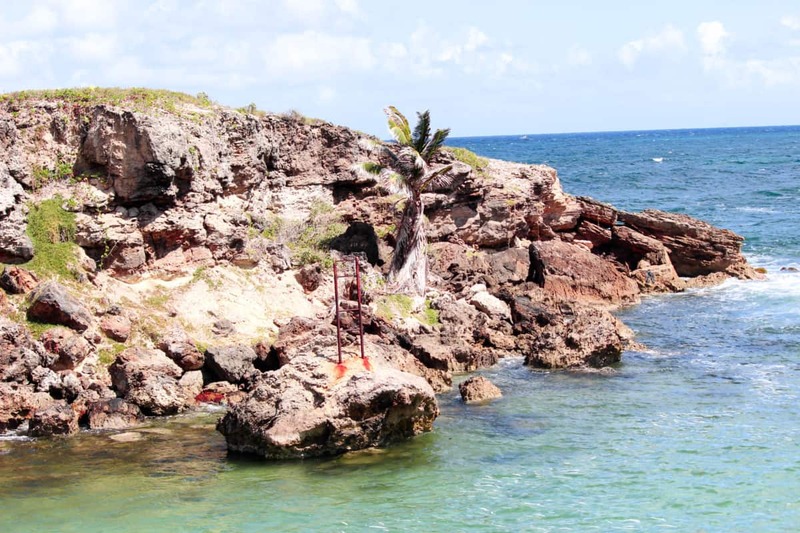 To find Animal Flower Cave, head North on the road out of Speightstown. The Cave is actually well signposted along twisty lanes. There is a large Car Park, make sure to time your visit later in the day (or early) when it will not be busy. Pay at the bar for a Guide to take you into the Cave. It is fabulous! Wear your swimming costume for swimming in the Cave pool. Do not miss the Animal Flower Cave, it is a delight! Animal Flower Cave is situated at the Northern most tip of the island. Just a little further down the road heading south (signposted from the Animal Flower Cave) is Sunset Point. This is the perfect spot to view the sunset. Catch 22 Seaside Restaurant is also situated there. I don’t have a sunset photo because we were too early! However, stopped for drinks at the restaurant bar and it is a delightful place for a drink or meal with gorgeous sea views. 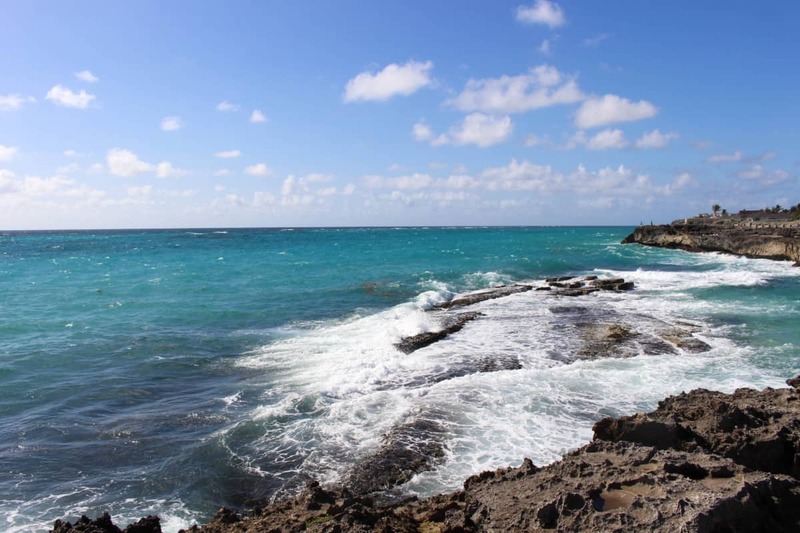 The sea changes dramatically from the calm and warm waters of the Caribbean Sea on the West Coast to the wild, rugged East Coast and the big waves of the Atlantic Ocean. It is not safe to swim along most of the coast, the waves, undercurrent and hidden rocks make it dangerous! However, it is beautiful, wild and unspoiled along this coast. Perfect for a drive along the coast road, checking out the views and driving through pretty little villages along the way. The East Coast was covered in Seaweed during my visit. This is a shame, but it is still very beautiful. 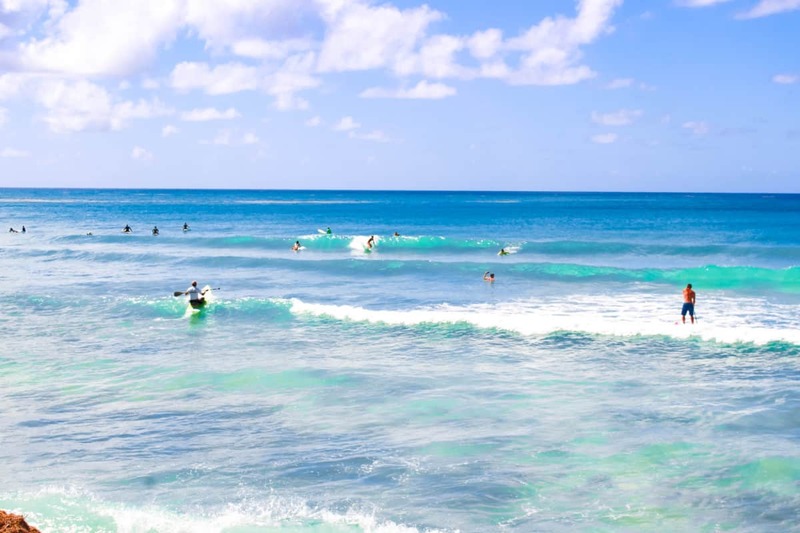 Drive down the Coast and you will come to pretty Bathsheba, which has a surf beach. It was full of seaweed, so we didn’t stop for long. Continue down the coast which is a fascinating drive and you will come to Culpepper Island. This is a little tricky to find and if you are not touring all around the island, the quicker route is via the Airport Road and The Crane. Park at Whitehaven and walk South along the cliff top, past a new Villa development and voila! You will see delightful Culpepper Island. You can swim out to the island, it is only 50 metres and the water is calm in this little cove. I enjoyed a lovely cooling dip here! We didn’t see anyone else during our time here. The island would make a perfect picnic spot! Just pack your picnic in a waterproof bag and swim on over. A little further South is my favourite beach on the East Coast. Bottom Bay is just a delight from the moment you arrive! Park at the top and walk down the steps to the beach. 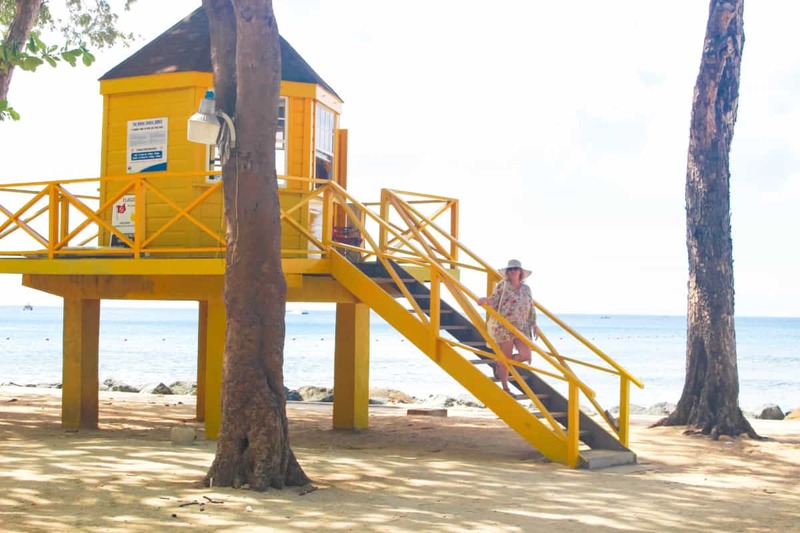 Hire a very inexpensive sunbed and relax on this isolated beach. There were only a maximum of four other people enjoying this spot. Definitely one of my favourite Barbados Beaches. You can have the freshest Coconut possible here too for just a few dollars! Lie down and listen to the waves crashing while you sip your Coconut water. You can’t swim here but it is just magical. Tip: Stay on the South East Coast, if like me, you enjoy peace and quiet away from tourists. I loved staying on the South East Coast, it was an easy drive over to the West Coast for shopping, swimming in the sea and snorkelling. Don’t forget to take hire a boat and have some time at sea over on the West coast too! You can hire a private boat very reasonably if you shop around a bit. Read my The Crane Resort post for full information about the resort and beach. 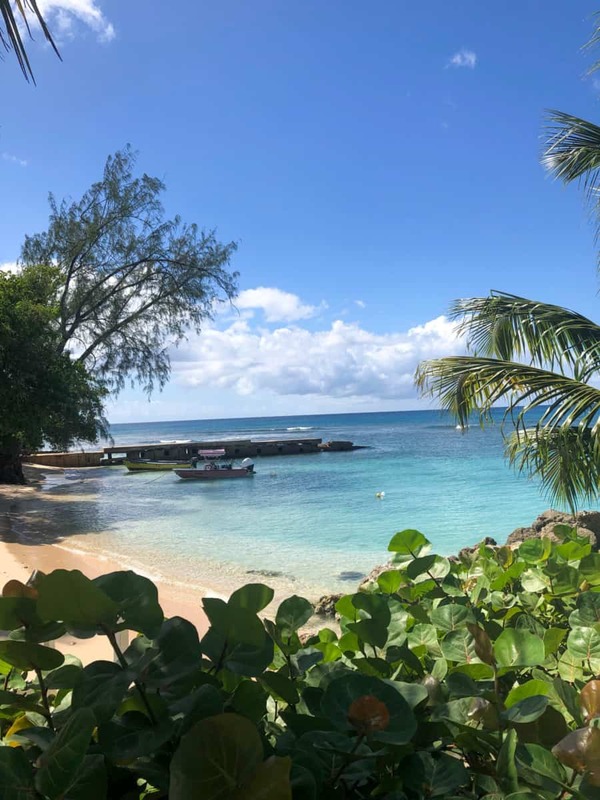 It is beautiful and a wonderful place to spend the day or check in to this stunning resort and enjoy the peace and quiet of the South East Coast! One of my favourite Barbados Beaches. We are nearly around the island and next is the South Coast. 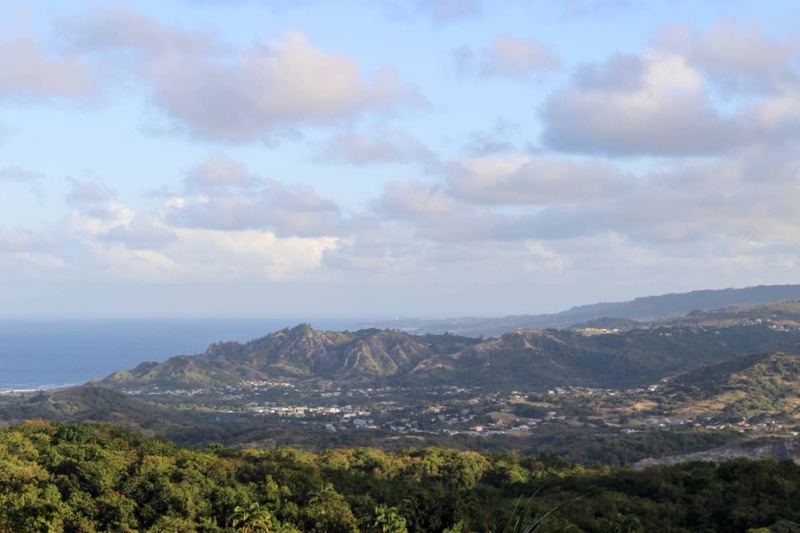 The South Coast is more densely populated and crowded, very popular with holiday makers. Hence it is not my cup of tea, but for those who surf, this is the place to be! Obviously very popular with Surfers! There are lots of little hotels and apartment complexes along this stretch of Coast. You can have Surf lessons too. There are lovely beaches along along this stretch of coast. Stop for lunch at Oistins Fish Market and choose from the array of Fish stalls serving Fish meals. 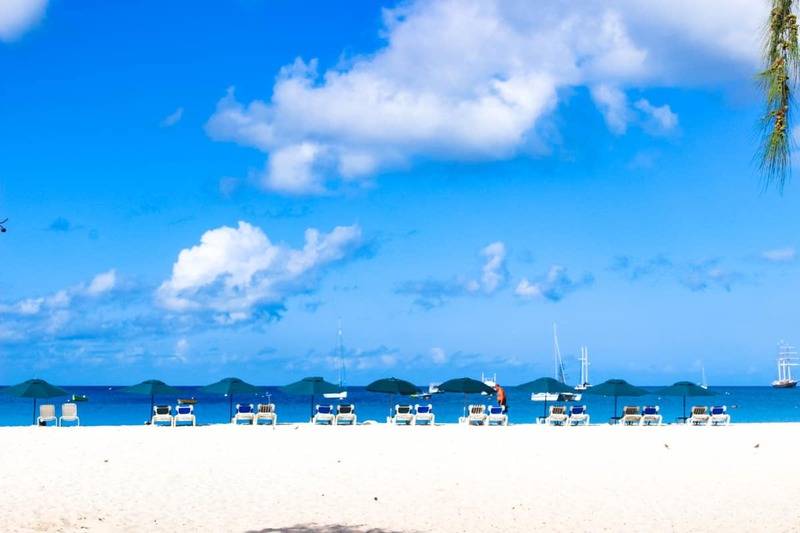 Carry on around the South Coast and you will come to Carlisle Bay, very pretty and you can snorkel here and hire a Sunbed. 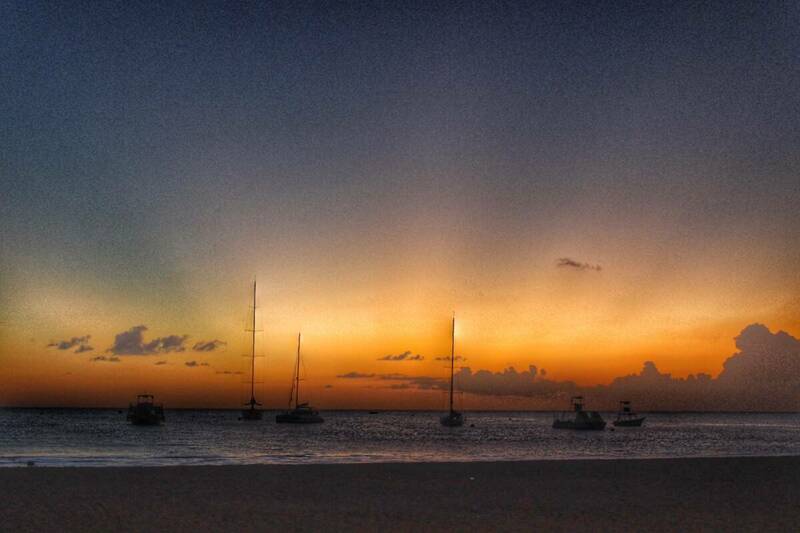 Enjoy a beautiful sunset everyday in Barbados! Enjoy a perfect Sunset view and a Rum Punch sundowner on the South Coast. If you have a favourite beach, do share it with me! 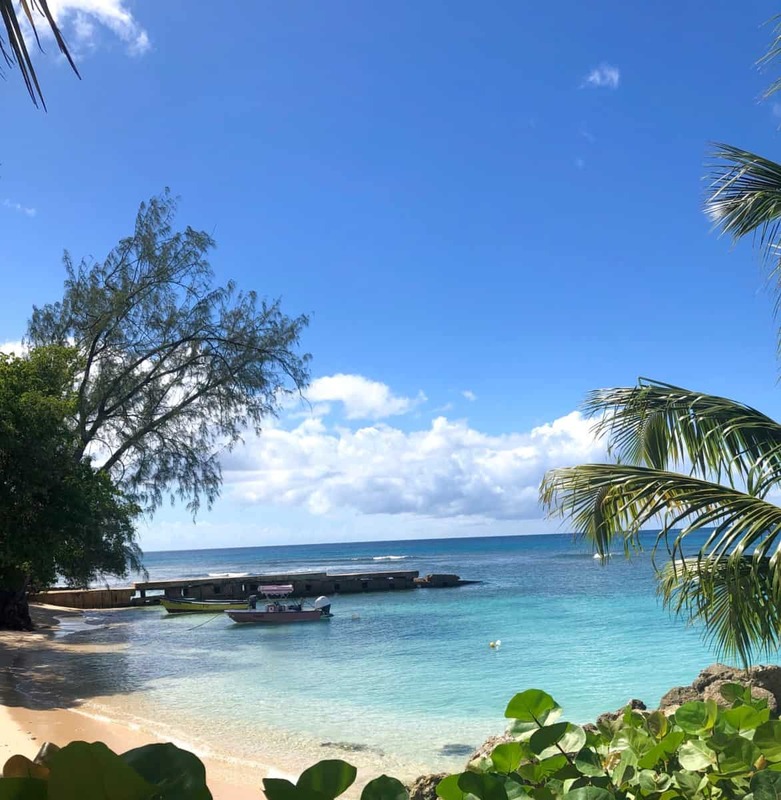 I hope you enjoy my Favourite Barbados Beaches. 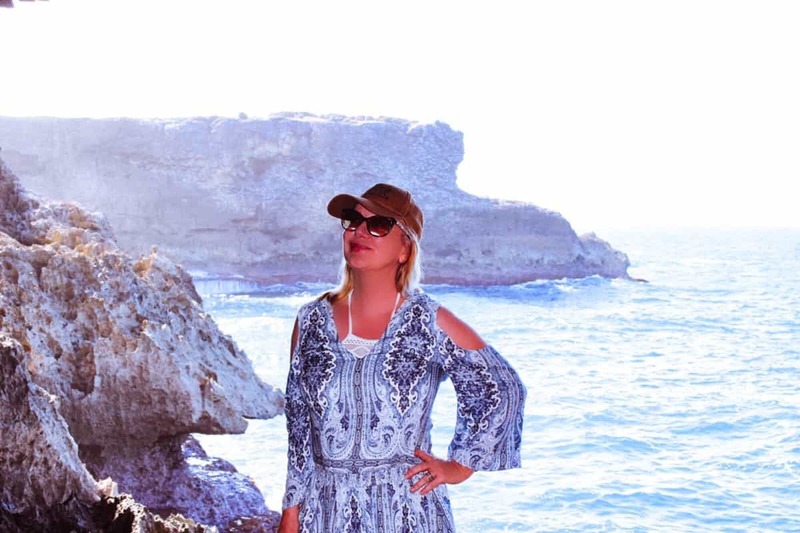 Previous Post A day in Liguria, Italy – La Dolce Vita!